Melanie Josephine gives her advice on how you can tackle these challenges and make the most of your au pair stay. Listen and find out more! Melanie Josephine was born in a small German town near the Danish border. After her A-levels she went to the USA to be an au pair for a year. Other stays abroad followed, such as living in Australia, New Zealand and different places in Europe. After she successfully finished her Bachelors degree in International Business, she moved to the UK where she worked as a Nanny. 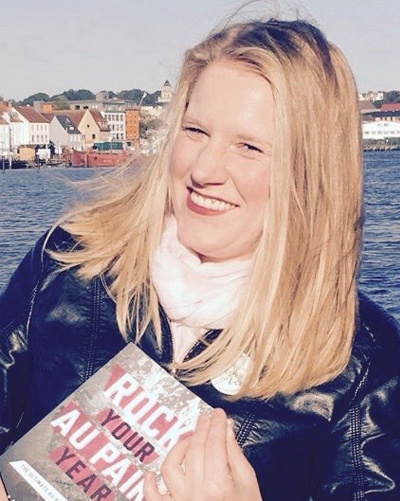 Over the course of the last few years she gained a Life-Coaching-Certification, published her first book "Rock Your Au Pair Year" and recently her second book: "Love Life Simplified". You can follow her on Instagram: melanie.josephine and check out her Website: everywheremel.com.